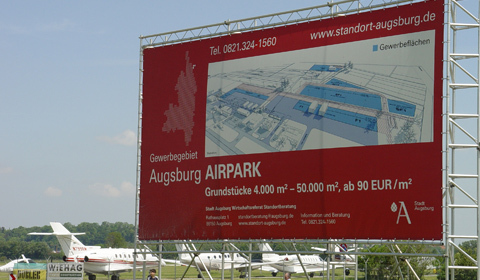 There are fully developed building lots for aeronautics businesses and manufacturers with direct access to the airstrip. 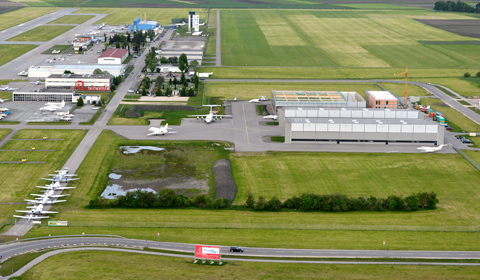 This area (92.000 m2) is available for aviation companies with immediate effect. 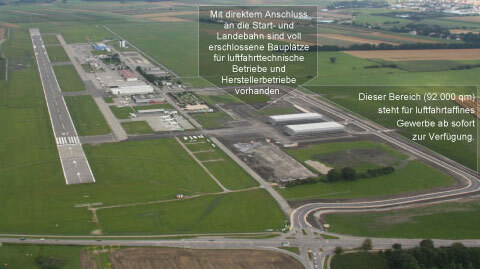 o the east: There is more industrial land to the east of the aircraft hangars. The apron for future business premises has already been built in this area. The new hangars can have a maximum length of 75 m. Access to the taxiway system has already been completed. It is possible to purchase or acquire the premises as hereditary lease (Erbpacht).